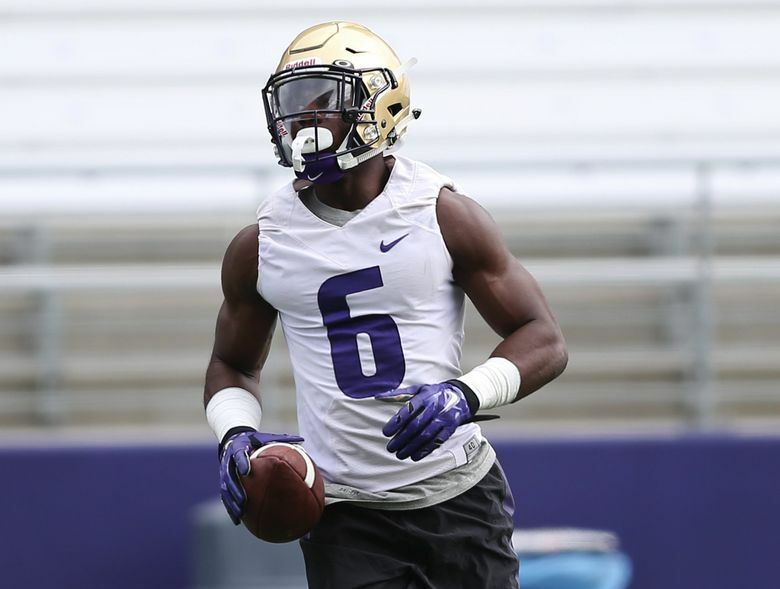 Deontae Cooper’s career on the field at Washington was derailed by three separate ACL injuries. But he has his time on Montlake — spent mostly in the training and class rooms — to thank for getting him back on the football field. Highline High School named Cooper its next head football coach on Thursday. He wouldn’t have gotten the opportunity had Michael Kneip, a close friend and teammate at UW, not made Cooper his first hire after taking over as Bellevue coach last year, two years removed from the dominant, scandal-plagued Butch Goncharoff era. Kneip hired Cooper as Bellevue’s running backs coach. “Every time I walked in that locker room (at UW), Mike was there waiting for me,” Cooper said Friday. This time it was Cooper waiting for his call. After transferring to play his final collegiate season at San Jose State and subsequently working out with the Oakland Raiders but not catching on, Cooper moved back to Seattle and began working as a general contractor downtown. When Kneip got the Bellevue job, there was only one person for him to call: his friend of almost a decade, whom he met all the way back on his official campus visit (and shared many moments alone in the training room). “He’s one of those guys when you meet him, you know he’s a different guy in a good way,” Kneip said, though he never envisioned him — or Cooper — roaming the sidelines. But Cooper has since turned that story into a motivational one, for kids, and now, for his future players at Highline. Kneip, who graduated from Bellevue in 2012 with four state championships, wanted to restore his alma mater’s gridiron dominance — but also bring a culture that might sound little familiar if you pay attention to college football in these parts. So Kneip made Cooper his first call. Cooper made his to Washington coach Chris Petersen. The new Highline coach grew up in California, but after seven seasons at UW, “that’s home,” he said. He was a regular practice attendee last fall, and he plans to continue to pick Petersen’s mind. Some initial advice? Recruit the campus. Keep it simple. Take your time.